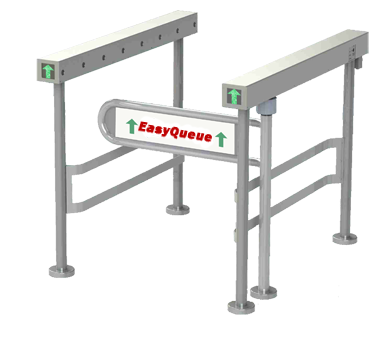 Floor mounted rails share a group of uses including cart stopping bumpers, guidance rails, protection rails, wall protection, grab rails and more. Being independent of walls, floor mounted rails create solutions for large open spaces such as malls, warehouses, outdoor spaces and any other location free of walls. 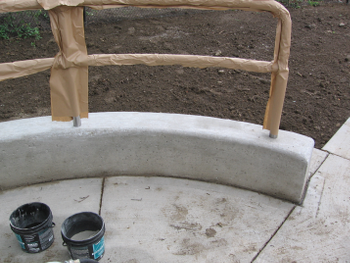 The capability of custom fabrication gives our customers choice, based on the intended use of the product. If you are looking for a floor mounted solution browse our examples or contact us with unique product demands. Wall mount to glass and invisible floor mount in condo lobby. Hand rail floor mounted with wall mount side rail.